Since ancient times civilizations have been applied eye shadows. Eye shadow is a key of eye makeup. It spreads on the eyelids and under the eyebrows. Being used to shade the eyes, it also serves to brighten and visually increase depth to the eyes. Applied in right way, eye shadow can visually change shape of eyes and make s eyes look more attractive and draw attention of people around. To improve the color of eye shadow and make it keep longer it may be used an eye shadow base. It spreads the eyelids to help to blend an eye shadow. The eye shadow base is made from a powder and mica and includes Vitamin E which protects the sensitive skin of the eyes. It doesn’t contain any animal ingredients. The eye shadow base generally comes as a cream or powder. While most eye shadow bases are matted, some of them have a hint of sheen and may be used as a highlighter. Eye shadow base may be also applied beneath the eyes to hide dark circles or other imperfections. It can be used alone for a fresh, natural look. There are palettes of various colors and textures of eye shadows available at the market. The first task for a woman is to select the right colors to go with her eye. Usually an eye shadow set consists of three colors, the lightest color is used as highlighter and the darkest is used in the crease. It is rather to choose a shade that is close to a complexion of a woman. For example, gray, violet, purple or taupe color of eye shadow fit women with blue eyes. Also, one may select metallic or shimmery shadow to emphasize one’s blue eyes. 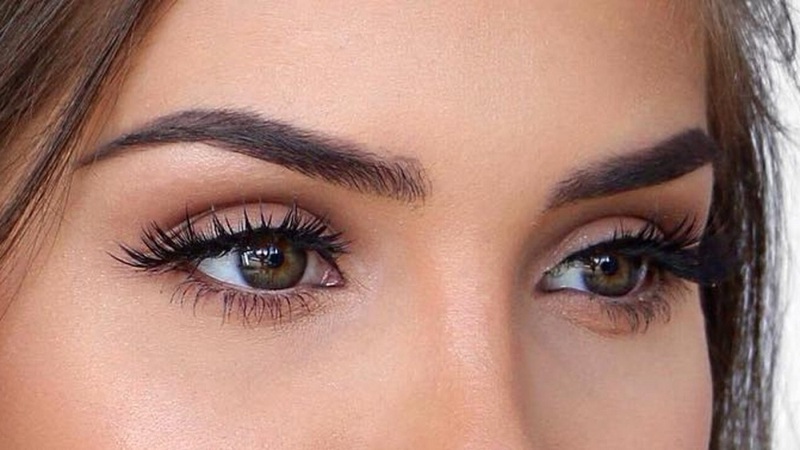 Women with green or hazel eyes go well with shades of brown, purple, plum and green. Generally women apply eye shadows of various colors using light shade inside eye corner and moving to dark one that aids eyes to look farther apart and larger. The light colors promote to accent the eye, while dark shades help to alter the shape. Many eye shadows come in powder forms and contain talc and mica. Pressed powder eye shadow also contains binding agents, such as mineral oil or silicone. The mica powder gets eye shadow a glossy shine. There is cream, liquid, pencil, or mousse forms of eye shadows as well. Cream shadow is used above the line of eyelashes and not suited for area below the eye, as it can make the eyes look older. Liquid eye shadows can be sparkling or soft and create a moist or shimmering look. Heavily applied eye shadow is appropriate for photography, due to it promotes to keep the features in focus. However, using eye make up should not be overdone. So, don’t forget to check your application in natural light. A good makeup makes the appearance expressive.